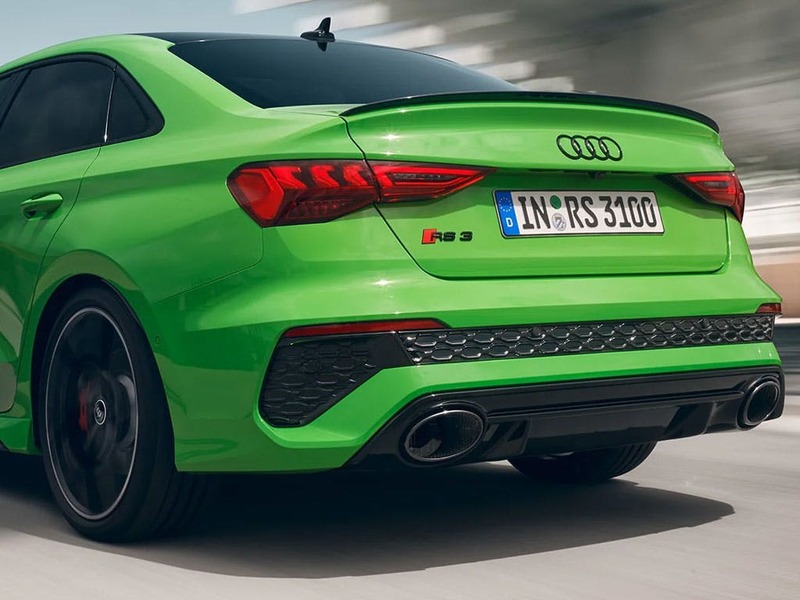 What a beautiful noise – the engine in the all-new Audi RS 3 Saloon. 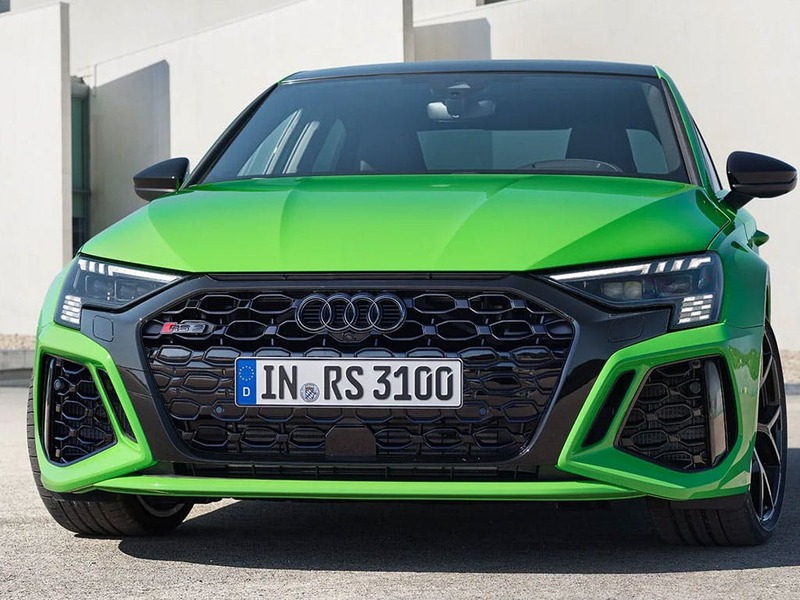 The most powerful five-cylinder engine available in the world, the engine that gives the RS 3 Saloon 400PS and powers the first RS version of a compact Audi. This incredible, award-winning engine is now available to test drive in the new Audi RS 3 Saloon. Visit your local Audi centre in Essex, Hertfordshire and London. 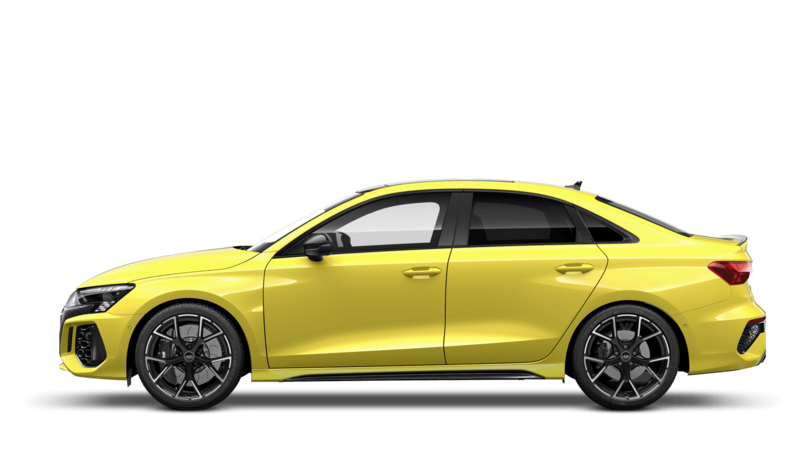 Discover all the latest Audi RS 3 Saloon offers currently available. Every detail matters, view the Audi RS 3 Saloon technical specification. Download the latest RS 3 Saloon brochure. Inside the all-new Audi RS 3 Saloon, the journey is enhanced by a series of RS logos on the door sills and seat backrests. The dark styling within the cabin continues the sporty tone with black Nappa leather sport seats and an RS sport leather steering wheel. Driving has never been so comfortable until now. Sit inside the RS 3 Saloon and sink into the seats. Drive in pure Audi comfort. With an enhanced look to match the flare of the engine, the front track is 20mm wider than the standard A3. Flared front wheel arches and a single-frame grille in a three-dimensional honeycomb design set the new Audi RS 3 Saloon apart from the rest. 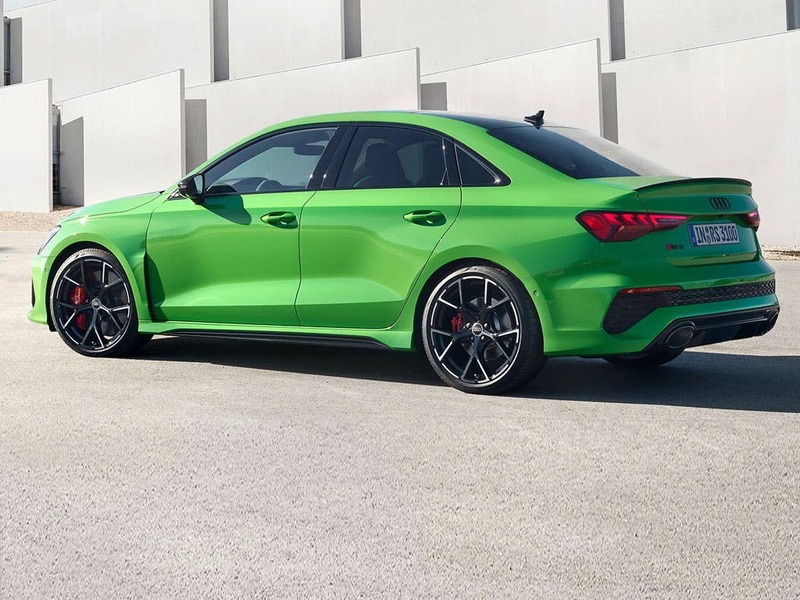 At the rear, the boot lid benefits from a fixed spoiler lip, whilst the RS exhaust system makes a strong sporty statement with its large oval tailpipes. Seven time Engine of the Year winner, the 2.5-litre, five-cylinder TFSI aluminium engine used by Audi takes the RS 3 Saloon to the top with some of the best engineering in the world. This family friendly car packs more of a punch than meets the eye and can achieve 0-62mph in a mere 4.1 seconds, continuing on to a top speed of 174mph, if not limited. Audi’s intuitive, ergonomic technology has been designed specifically for high end, top quality models. 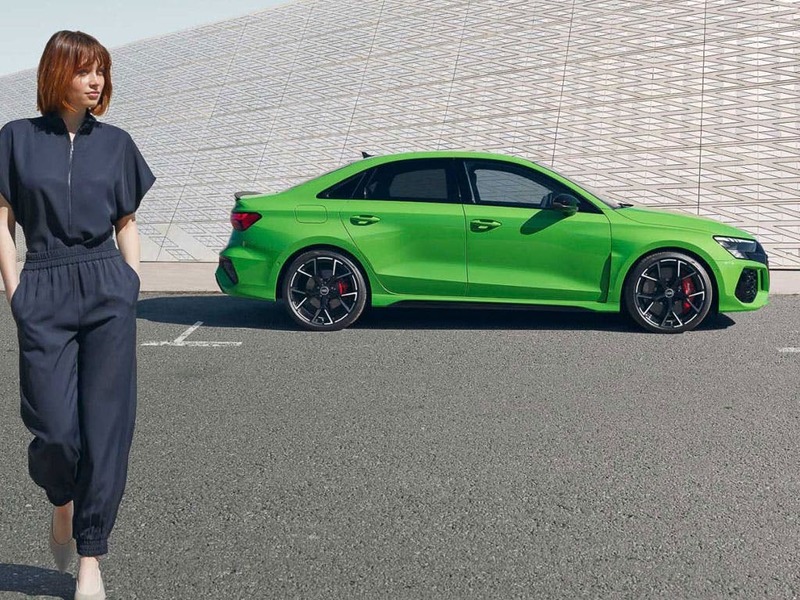 The technology featured in the RS3 Saloon includes the MMI navigation plus system with MMI touch, incorporating free text search and voice control. 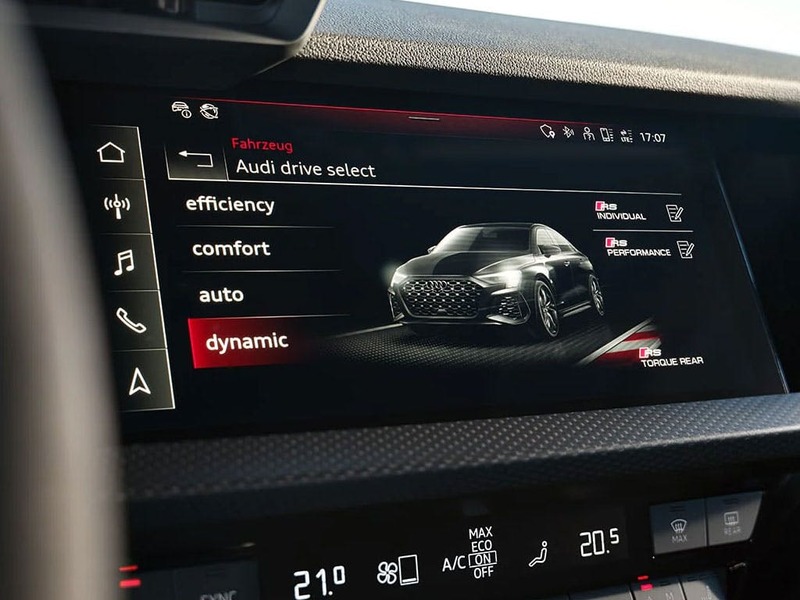 A seven-inch electrically extending MMI screen is offered as standard, so you can enjoy more of Audi’s innovative technology. Feel like you’re on track every time you drive with the Audi Virtual Cockpit. Discover the beauty and performance of the all-new Audi RS 3 Saloon. 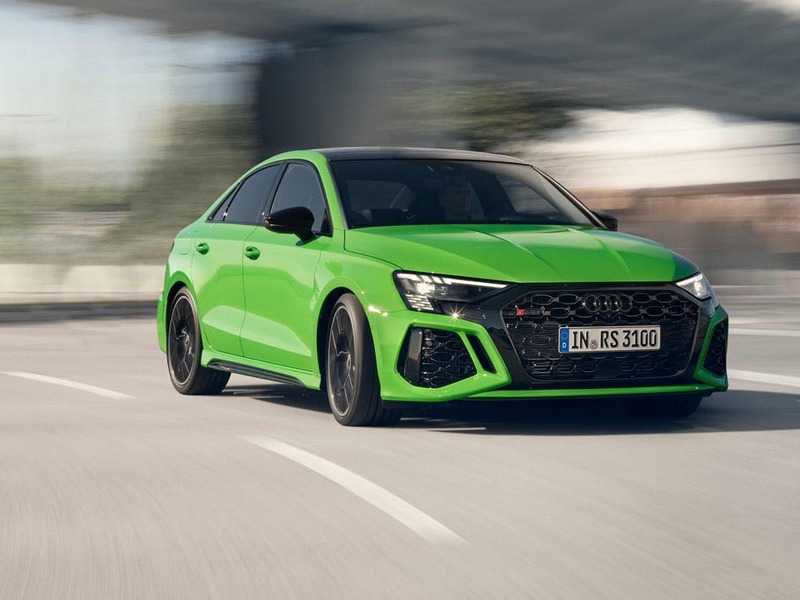 Visit your nearest Audi dealership in Colchester, Chelmsford, Chingford, Finchley Road, Harold Wood, Hatfield, Stansted, Southend, Whetstone and Watford for more information. Explore the RS 3 Saloon specifications.